Chinese consumer electronics brand Lenovo has introduced its range of new gaming hardware at CES 2019. The newly launched laptops include the Lenovo Legion Y740 and Lenovo Legion Y540. The company’s Legion T730 and Legion T530 towers and its Legion C730 and Legion C530 cubes have also been upgraded. Lenovo has announced that its Legion Y740 laptop will be going on sale at the beginning of February and on the other hand, Legion Y540 will hit the shelves in May this year. As of now, there is no word on the availability details of the company’s T-Series and C-Series laptops. We’ll start with the specifications of the Lenovo Legion Y740 gaming laptop. The device comes in two variants – a model with a 15-inch screen and a 17-inch screen variant. There is variety also in terms of GPUs and customers will be able to select from GeForce RTX 2060, GeForce RTX 2070 Max-Q, or GeForce RTX 2080 Max-Q. On the other hand, Legion Y540 will come with a 15-inch display that will be powered by GeForce RTX 2060 GPU. While both the models of Lenovo Y740 will come with up to eighth-generation Intel Core i7 processors coupled with up to 32GB of RAM and a Corsair iCue RGB backlit keyboard, the Legion Y540 houses Intel Core CPUs and comes with a white coloured keyboard. Windows 10 is the default operating system of both the laptop models. Coming to the pricing, the starting price of the 17-inch Legion Y740 is $1,979.99, while the 15-inch model will cost $1,749.99. The 15-inch variant of Legion Y540 will be available at a price of $929.99. The Legion T730 and T530 towers, as well as the C730 and C530 cubes, have also been upgraded by Lenovo. It was announced at CES 2019 that new machines will come with the latest Nvidia GeForce RTX 2060 GPUs as a part of the upgrade. However, as of now, there is no word on the pricing of the updated models. 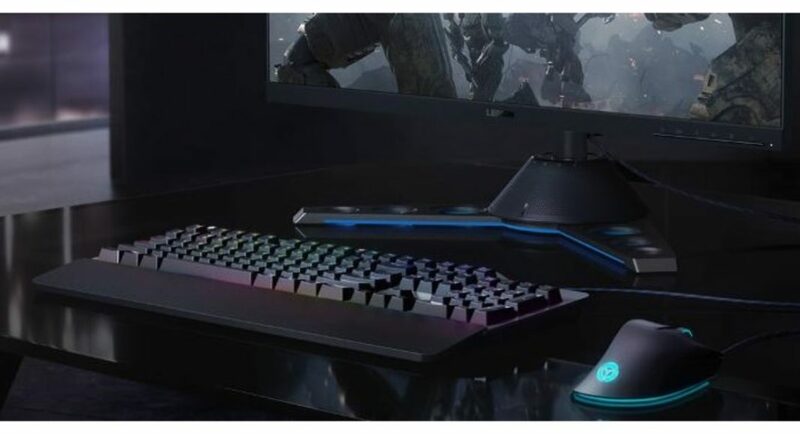 At the ongoing tech show, the company also showcased gaming accessories including Legion M500 RGB gaming mouse, which is priced at $59.99, Legion K500 RGB mechanical keyboard that costs $99.99, Legion H300 stereo gaming headset which will be available for $59.99 and Legion H500 Pro 7.1 gaming headset that bears a price tag of $99.99. The newly unveiled gaming accessories will be available starting April 2019.